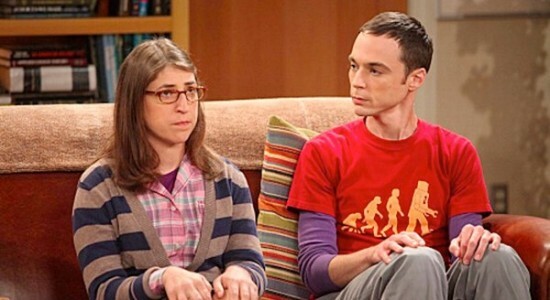 Fans of the Big Bang Theory were probably not surprised when Sheldon Cooper and Amy Farrah Fowler finally began dating. In one episode Amy describes Sheldon as, “He’s handsome. He’s lanky. He’s brilliant. From celebrities to geeks living in their parents’ basement and everyone in between, everyone has the same jitters before a first date. It’s not like times during Little House on the Prairie when dates consisted of barn raisings, wagon rides, and community potluck suppers. Today’s dating world is complex. Women are making the rules, and in some cases even footing the bill for a date! Along with dating logistics, the places to go on dates have changed drastically throughout the years. In the case of long distance relationships, some dates never leave the Skype chat window. Or in the case of my friends Tony and Rachel, the World of Warcraft screen. There are even couples who go on dates via their favorite online video games. The reason for dating has not changed so why would how you prepare for a date change? Regardless of how you met the person you plan to go out with for the first time, the preparation techniques largely remain the same, even though we use different fashions and modern products like teeth whiteners and scented deodorant. 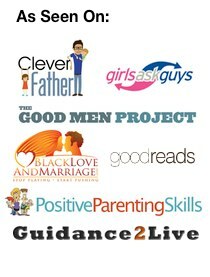 Here is a quick list of ideas to consider when preparing for a first date. Avoid Expectations – Having expectations is like asking for disappointment. Try and remain open minded and avoid holding instant grudges against things like education level, age, or family history. Stay Positive – Even if you’re just preparing for an instant message conversation, a positive attitude will shine through the text on the screen. Staying positive will also provide a much needed boost to your self-confidence as well. Look Presentable – Looks don’t matter, but neatness does. Make sure you bathe and shampoo your hair. Trim any hair that shouldn’t be there, and style any hair that should be there. And make sure your fingernails are neat and trim. Dress Nicely – Nobody expects you to wear a suit and tie for a first date at a coffee shop, but you shouldn’t wear your grubbiest clothes, either. Wear something that is comfortable and clean, and make sure that your shoes are fairly clean as well. Smell Good – But don’t drown yourself in cologne or perfume. Some people are allergic to scents and even a little too much causes them to experience serious migraines. A little scent goes a long way in most cases. Smile Genuinely – People can spot a fake smile from a mile away. Brush your teeth, use breath freshener, and remember to floss. Nobody wants to spend a date staring at someone with last night’s leftover broccoli in their teeth. If your teeth are dingy, you might use a home teeth whitening solution to retain their natural sparkle. Act Natural – Nobody likes a fake person. If you try too hard, then it’s going to be pretty obvious that you’re trying too hard. It will be easier to act natural if you get enough rest the night before and don’t let yourself get stressed out before the big event. Don’t Drink – It might be tempting to knock back a drink to relax before a date, but that’s the wrong move. If your date smells alcohol on your breath then it could be the beginning of the end of what could have been a great relationship. Even if your date isn’t what you were expecting, flash your dazzling smile and keep up the flow of conversation. There are several ways to do this. You could talk about current events. If you have a mutual friend, then you could talk about how you each met that person. You could talk about sports, but it might be wise to avoid politics on a first date. Another way to find potential conversation topics is through social networks. If you and your date are friends on a social network, like Facebook or Twitter, it’s a good chance that they’ve already checked out who your friends are and what types of things you like. There is a fine line between doing your homework and looking like a stalker. If you and your date aren’t friends on a social network, avoid digging around too much, and use the information wisely. For example if your new date is a fan of dog rescue sites you might mention a dog you had as a child. However if all your new date’s page reveals is a plethora of Farmville updates, chances are a conversation about how global warming affects Midwestern farming communities isn’t a great choice. The most important thing is that you have fun, and if it doesn’t work out then who knows – maybe your date has a friend who is just your type! Do you think date preparation has changed, over the years? Which one of our list do you think is most important? Freelance writer Sophie Evans is a self-confessed Starbucks junkie. When it started to show in her smile she turned to sites to help retain the natural brightness to her toothy grin. When she isn’t writing Sophie spends her spare time with her husband Rick and their two children, a son and a daughter. Their eco-friendly home is located in Balboa Beach, California which gives them plenty of opportunity to visit Mickey Mouse in his native Disneyland. I never follow dating rules before. But now, reading this post made me realize that there is nothing wrong about this and I can surely take advantage of this. Thanks for sharing your insights. Actually I’m with you, Kelly. Rules are really kind of only guidelines put together by other people’s experiences. That said, what would you say to just being yourself when you’re on a date? You can and probably will make a date with the more interesting one and first see how that goes. Always the opportunity to make one with the second one if the first doesn’t work for you. Thanks for the comment, Kristine. Would you agree that being and acting natural, despite it being a 1st, 2nd or 10th date is important? Do we get anywhere in life if we continue to put on a false face? My first date was at 16 and at the local creek bed, Stacey.